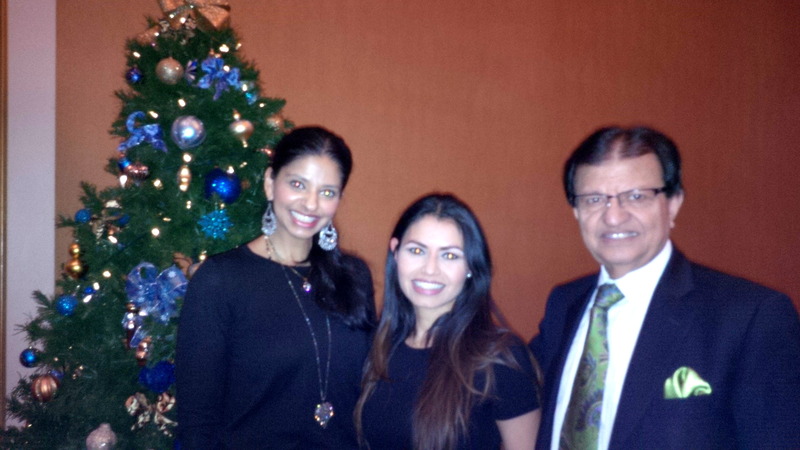 With Reetu Gupta (VP of Sales & Marketing) and Steve Gupta (CEO of Easton's Group of Hotels). 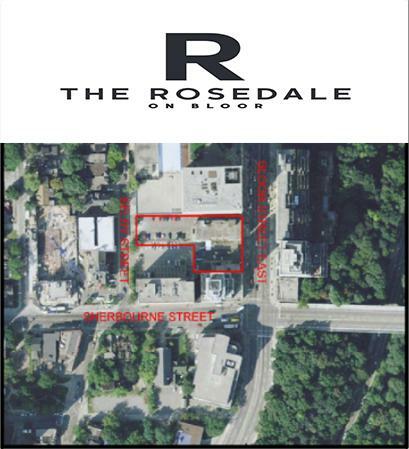 Skywatch Condos at The Rosedale On Bloor is a proposed mixed-use condominium by the Easton's Group of Hotels located at 387 Bloor Street East and will consist of two buildings. 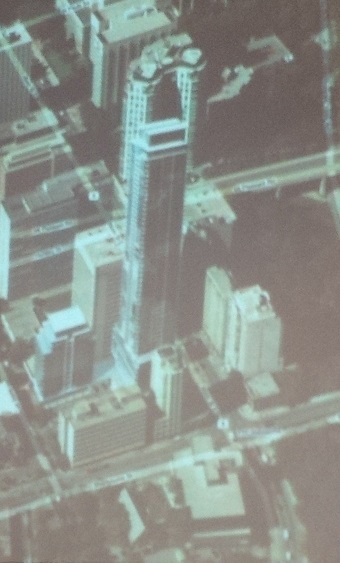 Tower A will have a proposed 53 storeys (163.1 metres in height) with an 8 storey base that steps down to 2 storeys fronting Bloor Street East. Tower B will have 12 storeys (47.7 metres in height) fronting Selby Street joined by a one storey base and is proposed for commercial office use space or as a hotel. 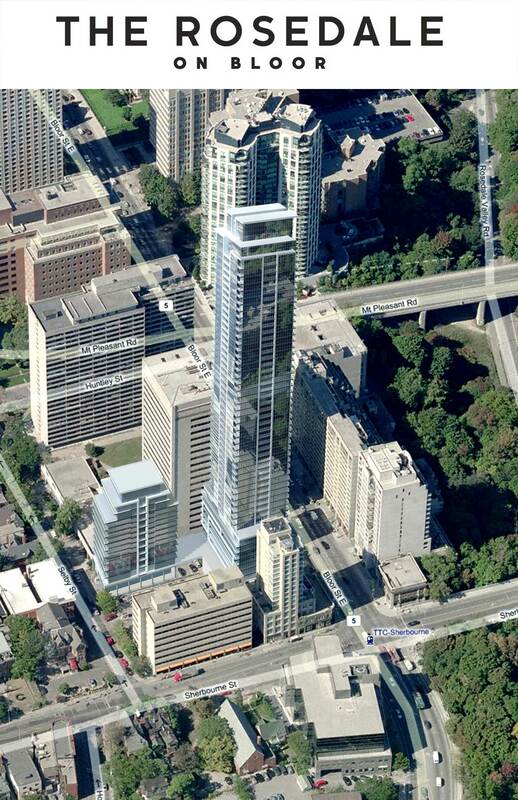 The proposed 53 storey tower (Building A) will have a proposed 506 residential units while the 12 storey (Building B -if used for residential space) will have a proposed 76 residential units totaling 582 condo units in all. Parking will be in the 4 levels of underground parking with a total of 173 proposed parking spots for residents with access from a driveway to Selby Street with one loading dock. 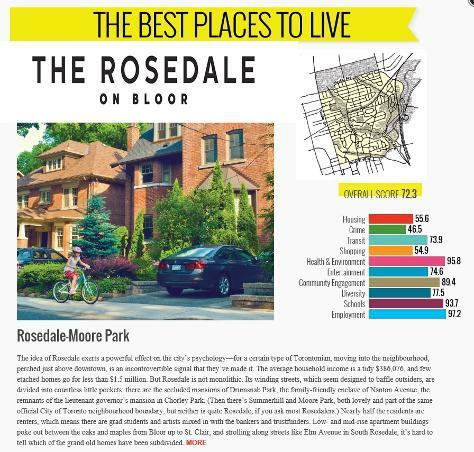 There will also be 584 proposed bicycle spaces with 465 reserved for residents of Skywatch Condos atThe Rosedale On Bloor. 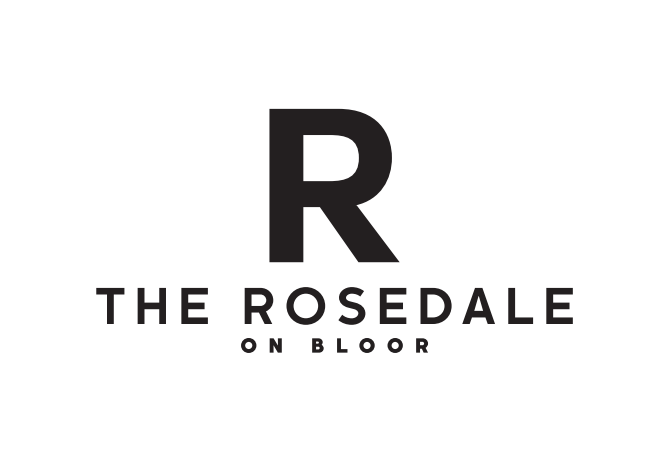 The total gross floor area is about 45,850 square metres for The Rosedale On Bloor Condominiums. The ground floor is where you'll find the lobby and lounge area including the concierge and will be where the proposed retail space area is situated. 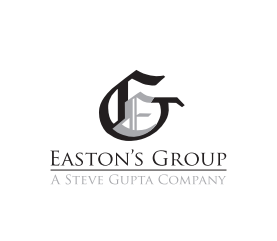 The second floor will include more retail space along with residential indoor amenities. 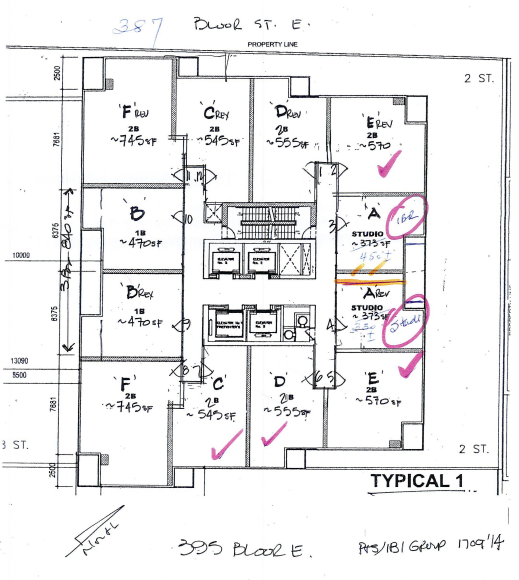 There will be approximately 1,395 square metres of total retail space and 732 square metres of indoor amenity space. The 12 storey tower will have about 230 square metres of indoor amenity space unless it is used for hotel space instead. The outdoor amenity terrace is located on the second floor as well with about 517 square metres of outdoor space. 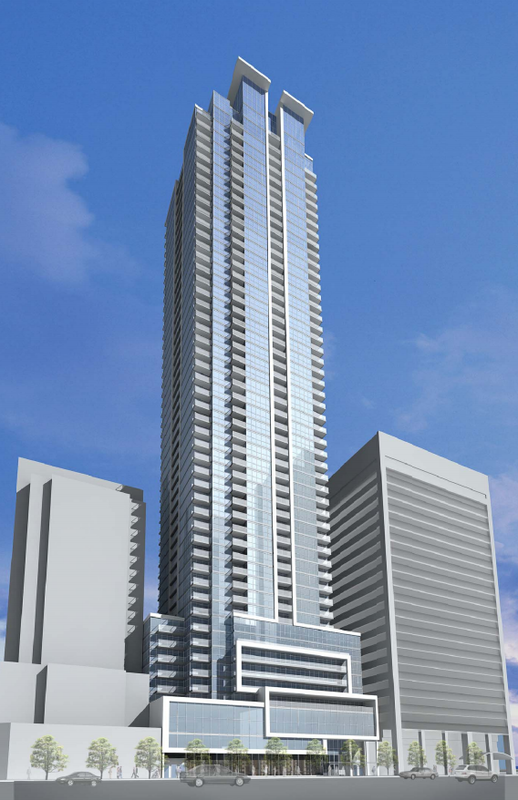 The 3rd to 49th floors will hold all of the residential suites that includes the proposed 345 1-bedroom suites, 233 2-bedroom suites and four 3-bedroom suites. 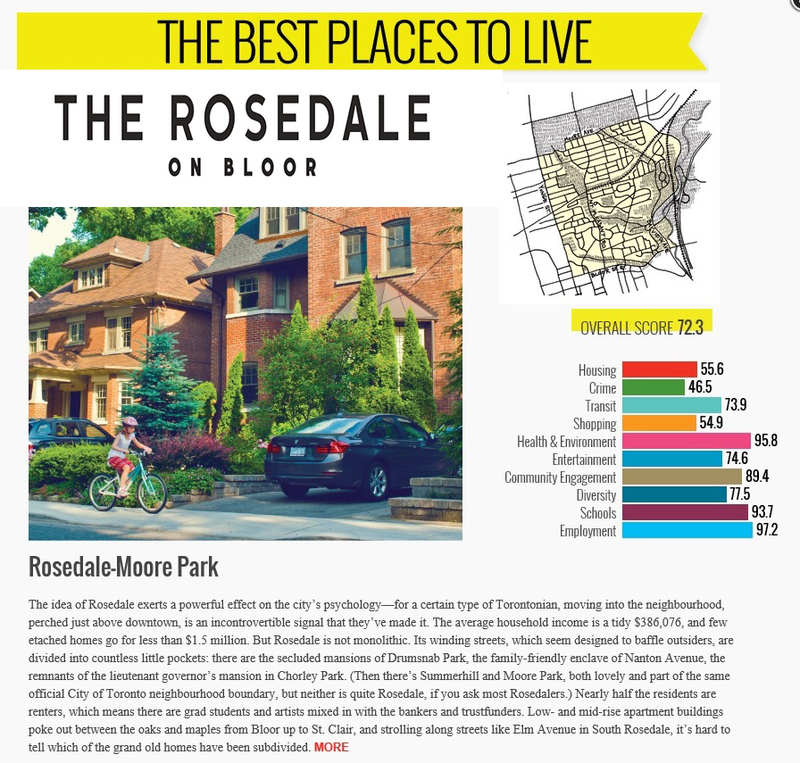 Bloor Street West and Sherbourne Street is a community near the Rosedale, Cabbagetown and St. James Town neighbourhoods in Toronto and is also located not too far from the Financial and Fashion Districts as well as the Yorkville Districts in Toronto. Register with us today for Skywatch at The Rosedale On Bloor Condos by the award-winning Easton's Group of Hotels!